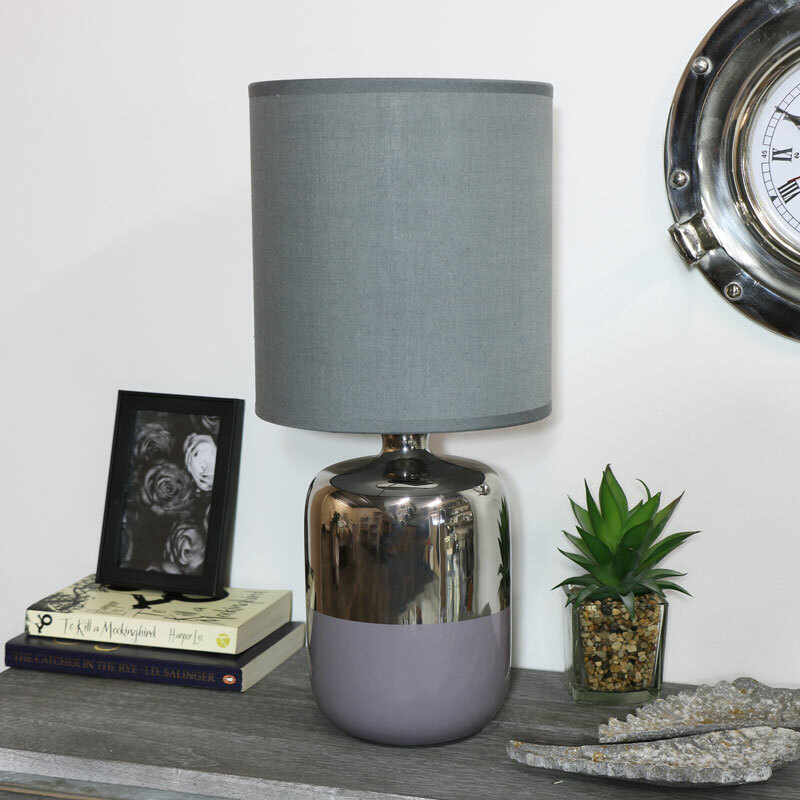 An extremely chic addition to your bedroom or living room is our Silver & Grey Ceramic Bedside Table Lamp with Grey Shade. 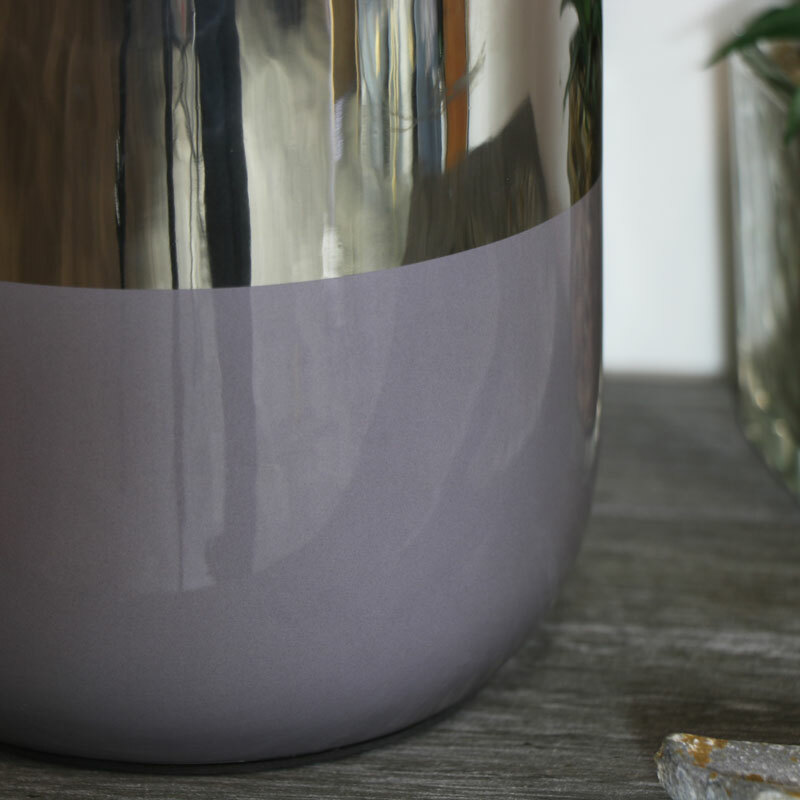 With a two-tone silver/grey ceramic lamp base it really is wonderfully modern. Whether placed in the hallway, living room or bedroom, this lamp is the perfect home accessory for and modern and contemporary interior. The lamp is mains operated and features an inline switch for easy access. Lighting really can make a room feel cosy and warm, and we have a wide range of fabulous lamps and lighting from table lamps to freestanding and with wall and ceiling lights you really can accessorise your home. 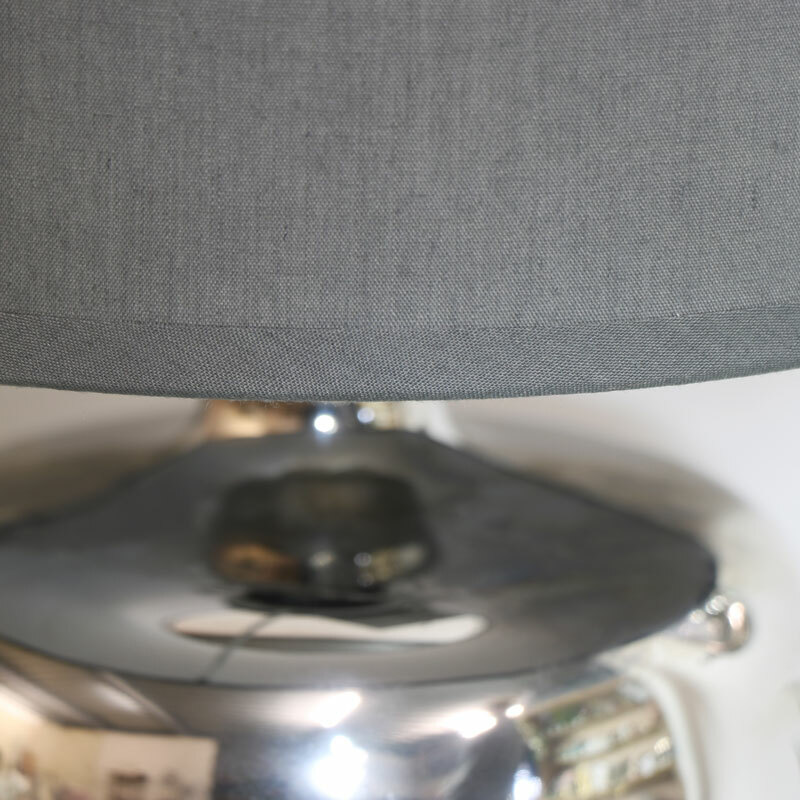 Made with a ceramic base in a high shine silver and grey finish, the lamp comes with a cylinder drum shade in grey linen. The lamp takes a E14 60watt max screw in bulb, features a standard UK plug.